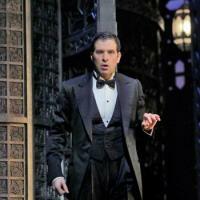 Italian bass-baritone Luca Pisaroni has quickly established himself as one of the greatest Mozart singers of our time. At the Metropolitan Opera, he has become an audience favorite through his performances as Leporello, Figaro, and even the monstrous Caliban in The Enchanted Island. This month, Pisaroni returns to the Metropolitan Opera in Mozart's Le Nozze di Figaro, this time as the lascivious Count Almaviva. In this special feature presented by Stepan Atamian, Pisaroni speaks about his Mozart roles, balancing his repertoire, and his close collaboration with revolutionary conductor Nikolaus Harnoncourt. In addition, Pisaroni will introduce just some of his favorite operatic recordings. Tune in to hear all this and more on the March 12th edition of Saturday Night at the Opera on WKCR 89.9 FM.